Port Mortuary is literally a port to receive the dead - and the deaths are mounting. 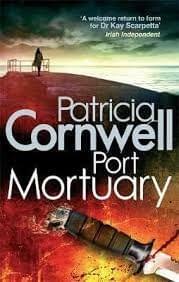 Kay Scarpetta has been training at the Dover Port Mortuary, mastering a groundbreaking forensic procedure. And it is not long before these new skills need to be put into practice. A young man drops dead, eerily close to Scarpettas home. When his body is examined, there are stunning indications that he may have been alive when he was locked inside the cooler. When the revolutionary 3D radiology scans reveal internal injuries unlike any Scarpetta has ever seen, she realises that she is fighting a cunning and uniquely cruel enemy. Now it is a race against time to discover who and why before more people die... Told for the first time in many years from the perspective of Kay Scarpetta herself - and unveiling secrets from her past that have never been revealed - this is a thrilling and compulsively readable tour-de-force.